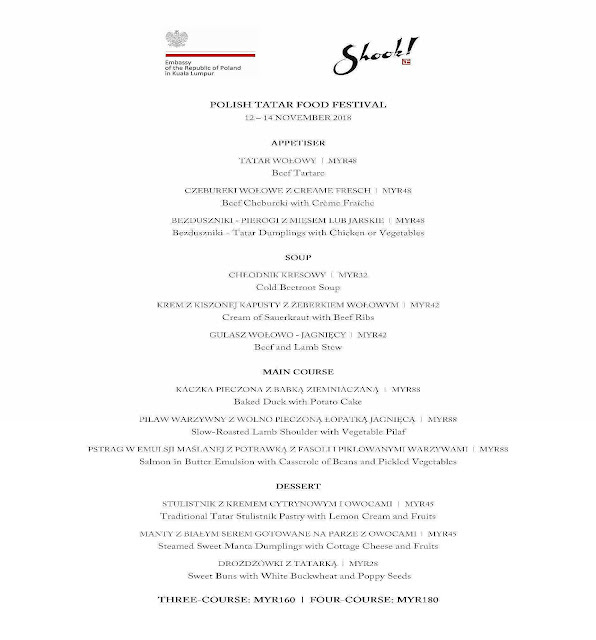 Organised in partnership with the Embassy of the Republic of Poland in Malaysia, I had my first-ever Polish dining experience featuring a four-course menu by Guest Chef Marcin Budynek (below pix, left) at the Polish Tatar Food Festival at Shook! which is on its last leg today. 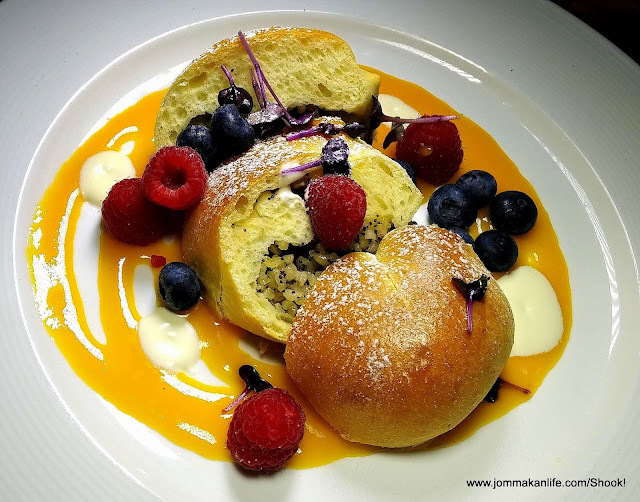 After graduating from the Poznan Culinary Schools in his homeland, Chef Marcin’s culinary passion saw him gleaned global experiences across Italy, England, Chile, South Africa and Spain. The enterprising chef also runs the Marcin’s Culinary Academy and helms his own Bistro Dobra Zmiana and Tawerna Fisza restaurants on top of hosting popular daytime television cooking shows in Poland. 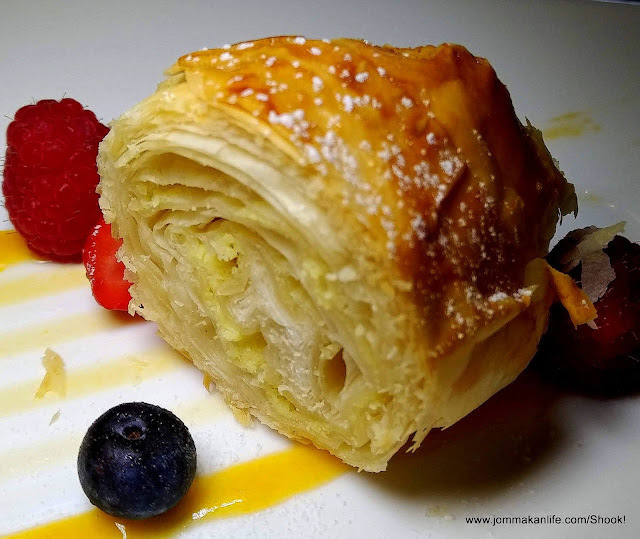 Historically, Polish food is an intriguing mixture of traditions and cultures: Germans, Tatars, Turks, Armenians and Lithuanians among others. The nomadic Tatar — a Muslim ethnic minority whose roots can be traced back to the Mongol Empire who setled in Poland at the end of the 12th and beginning of the 13th century — brought with them one-pot meals cooked on open fire and dishes such as beef tartare, manta (dumplings), hot soups thickened with meat and vegetables, pilaw (pilaf) and baked goods. 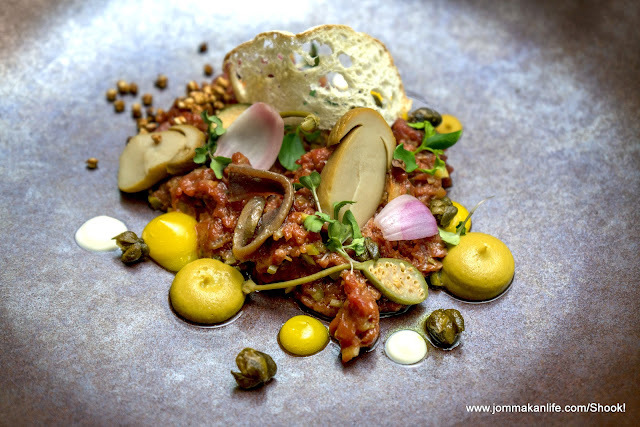 From the get-go, diners can whet their appetite with curtain-raisers of Beef Tartare, Beef Chebureki with Crème Fraîche or Bezduszniki - Tatar Dumplings with Chicken or Vegetables. 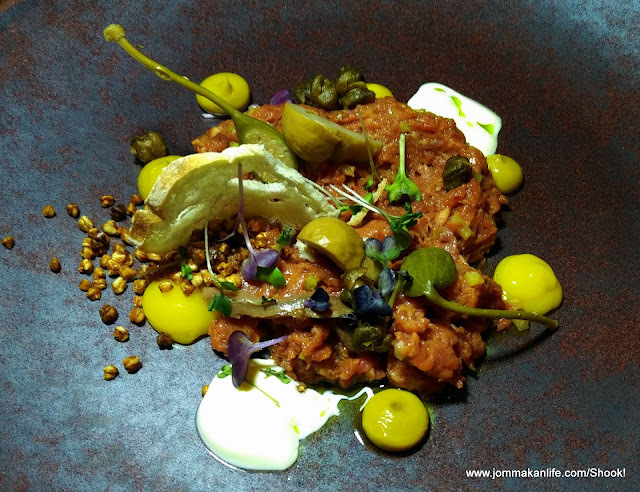 Dotted with spicy mustard, the raw minced beef is palatably tantalising with the occasional bursts of saltiness, tartness and sharpness evoked by the inclusion of capers, chopped onion and cornichon pickles mixed into it. 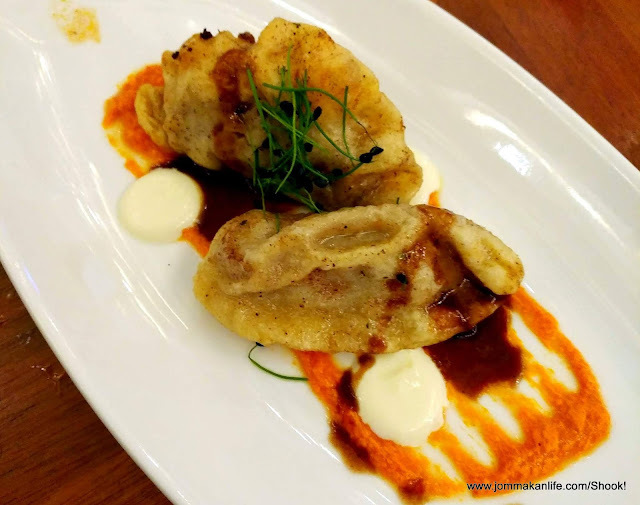 The Beef Chebureki looks exactly like our local curry puffs — a half moon shaped baked pastry with lightly spiced minced beef filling minus any chilli hotness. 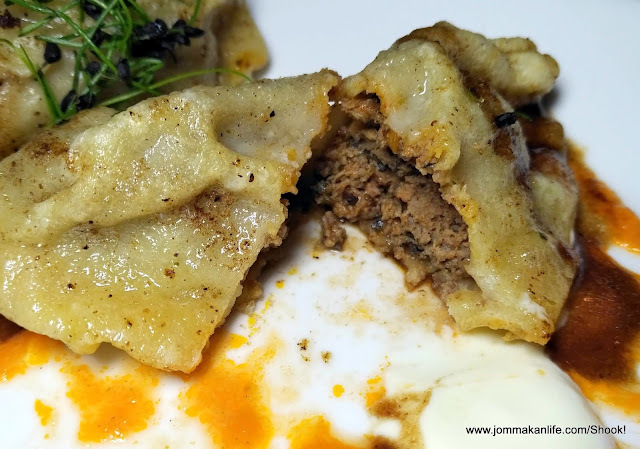 As for Bezduszniki - Tatar Dumplings with Chicken or Vegetables, they are possibly the original speciality that gives rise to wor tip or Chinese pot stickers and gyoza. Soups are also popular in Polish cuisine. 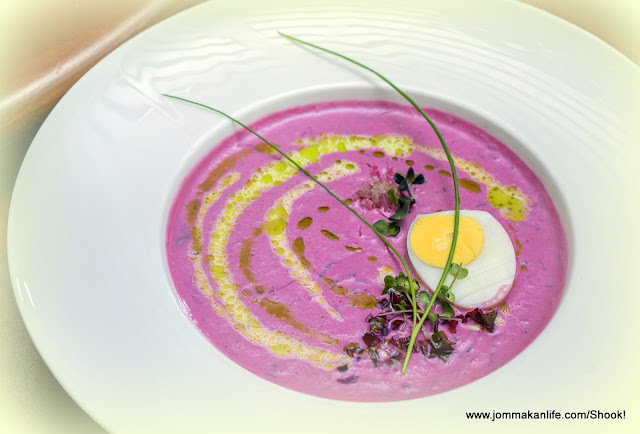 In the summer months, choldnik or Cold Beetroot Soup tops the list. 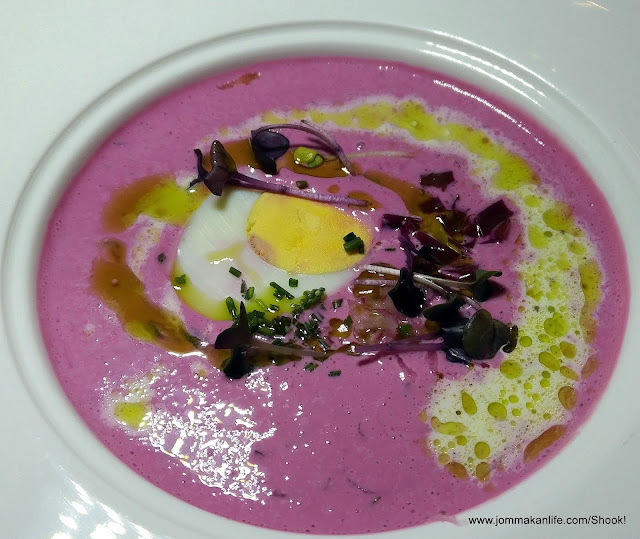 The refreshingly tangy soup boasts a brilliant pink hue thanks to the blended beetroot. Cucumber julienne and hard-boiled egg lend textural interest whilst yoghurt and lemon juice endow the soup with rounded creaminess without being overly cloying. A fresh herb known as purple radish gives it a nice peppery finish. Both the Cream of Sauerkraut with Beef Ribs as well as the Beef and Lamb Stew are so hearty and substantial, they are practically a complete meal on their own. The former is palatably tangy with a silky lushness to it whilst the latter, served with unleavened bread roll, tastes comfortingly voluptuous like being enveloped in mum’s embrace. Grains, meat and freshwater fish are dominant in the Polish diet as are cured meat and sausages. Sour cream and yoghurt are preferred while common vegetables include beets, cabbage and potatoes. The various main courses: Baked Duck with Potato Cake, Roast Lamb Shoulder with Vegetable Pilaf and Salmon with Butter Emulsion with Casserole of Beans and Pickled Vegetables offered are reflective of those traits. 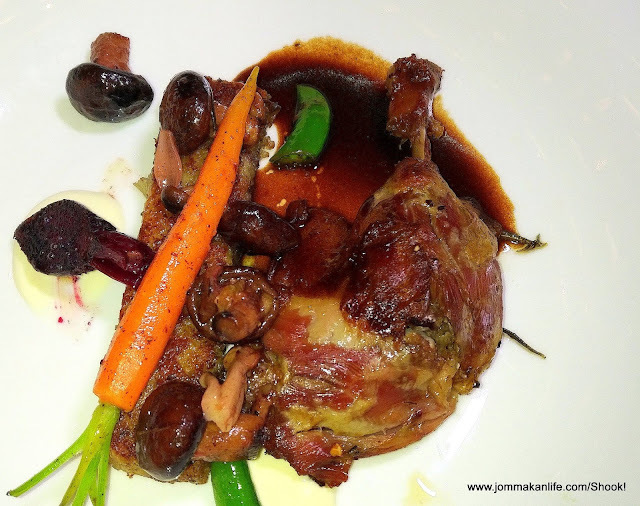 My portion of baked duck is reminiscent of duck confit; the faintly gamey and briny meat evokes the aroma and deep flavour of Lunar New Year-ish waxed duck. 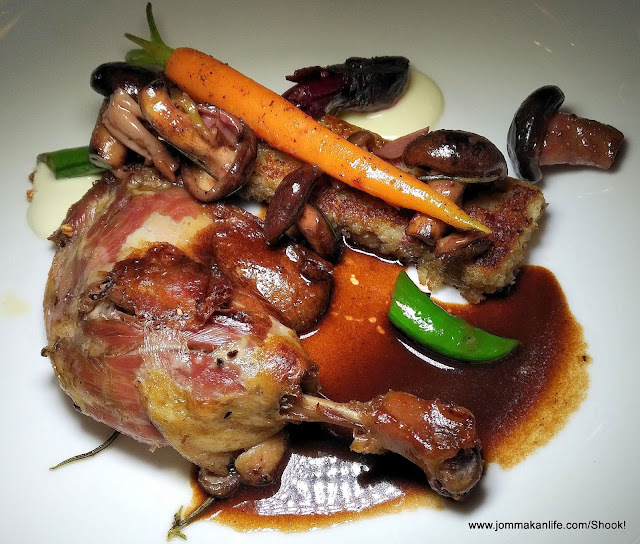 Served with a slab of potato cake similar to hash brown, the rustic dish redolent with the musky earthiness of mushroom is complemented by savoury duck jus. Research shows Polish Tatar and Asian food share more commonalities than we realise. 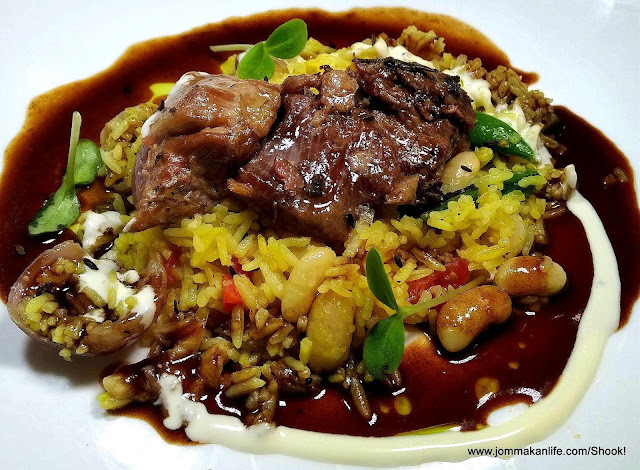 A good example is the lamb and pilaf combination in which hints of spices perfumed the rice and meat. 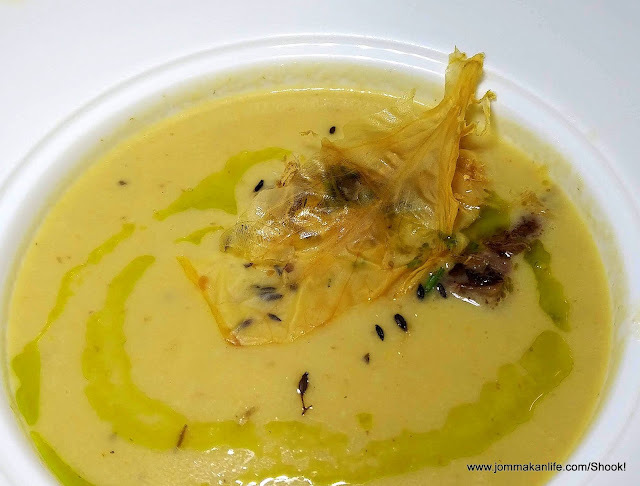 My dining partner happily polished off everything as the dish was comparable to a well-made biryani worth its grain. 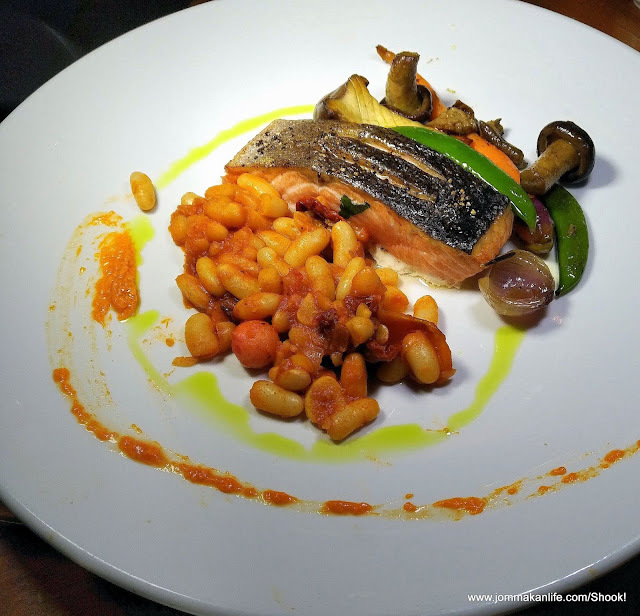 Although we didn’t try the salmon, the fillet looks good, accompanied by a generous serving of beans in tomato sauce. Entertained by authentic Tatar music performed by Maria and Marcin Ruminski from Poland throughout dinner, I relished every bite of my Traditional Tatar Stulistnik Pastry with Lemon Cream and Fruits. 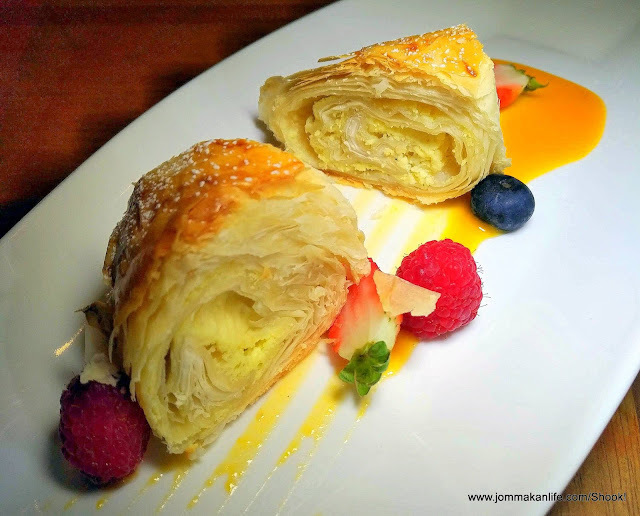 Smeared with lemon cream, the roll of delicate paper-thin flaky pastry is complemented by fresh berries. The Tatar fondness for dumplings extend to dessert. 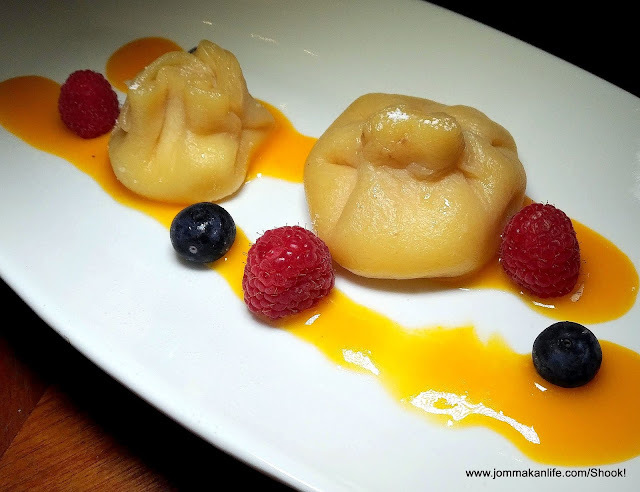 Proof of the pudding is the pair of Steamed Sweet Manta Dumplings with Cottage Cheese and Fruits. 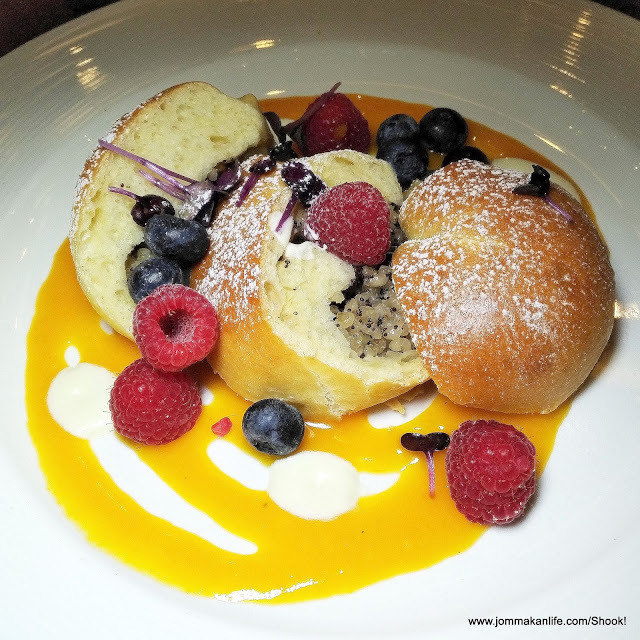 Simpler yet no less appealing are the cushiony-soft Sweet Buns with White Buckwheat and Poppy Seeds. Available tonight from 7pm until 10.30pm, you can opt for a three-course dinner at RM160 nett per person or four-course dinner at RM180 nett per person. 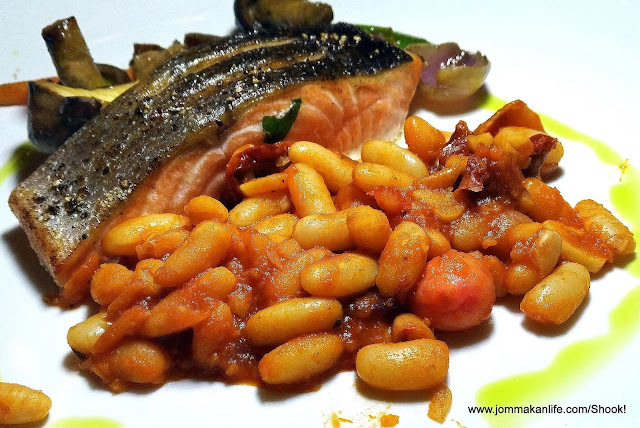 Guests can also choose selected dishes from the menu at à la carte prices. For reservations and enquiries, please call Shook! @Starhill Gallery, tel: 03-2782 3875 or email shook@ytlhotels.com.my.